Can you imagine what iPhone 5 would look like? Aatma Studio has put together their own concept version of the iPhone 5, which features ultra-thin display/phone, holographic display, and a multi-touch adjustable virtual keyboard. From what we have seen so far from Apple in the last couple launches of iPhone 4, iPhone 3GS, and iPhone 3G, this is probably very unlikely. Hey but you can always enjoy this video, it seems to me more like iPhone 10. How to Upgrade to iOS5 Today! 1. Download the iOS 5 IPSW file from the web (it’s easy and readily available. Just Google it and torrent it down). 2. Update your iPhone using iTunes. To do this, connect your iPhone to your computer, click on the Check for Update button with the Option (Mac) or Shift (PC) key pressed. Select the iOS 5 IPSW file from the place you downloaded it to. 3. Wait until it upgrades. A new activation screen will appear. iPhone 5? Maybe Next Year, Think More Like iPhone 4S! According to reports from insiders, Apple will not be launching iPhone 5 (as some of you thought) but iPhone 4S, which will include the same form-factor as the iPhone 4 but with an Apple A5 dual-core processor (like the iPad 2) and HSPA+ support. Plus, as shown in the photo above, iPhone 4S should be available on T-Mobile and perhaps Sprint. This is inevitable as Apple is losing grounds quickly to Android by having their devices only available on AT&T and Verizon Wireless. How to Install VNC Server on Jailbroken iPhone/iPod/iPad! For those of you who want to remotely control your jailbroken iPhone/iPod/iPad, Lifehacker has just posted a great tutorial video on how to do this. 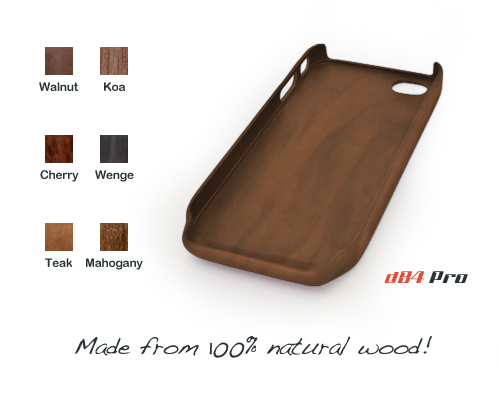 DB Cases – Increase your iPhone Sound by 4 Decibels! Here’s an interesting iPhone case called DB Cases that brings the sound of your internal speakers from the back to the front of your phone, effectively increasing the sound by 4 decibels. Today’s the official Verizon iPhone launch day and it seems more like no one cares across the country. Part of the reason is that iPhone 4 is already well behind in technology with all the new dual-core Android smartphones being launched in the next couple months. Besides that, it’s getting awfully close to June when iPhone 5 is supposedly launched. LG Optimus 2X vs. iPhone 4 YouTube Speed Test! Here’s an interesting speed test between the LG Optimus 2X and iPhone 4 where iPhone 4 gets its a** kicked pretty darn bad. For those of you who still think iPhone 4 is better, might want to think again after watching this video. Here’s an interesting video showing the speed test between LG Optimus 2X, iPhone 4, and Galaxy S by a South Korean Youtuber, who will win? Obviously single-core 1Ghz isn’t going to fare well with the dual-core 1Ghz Optimus 2X. The Big Move – How to Switch to Verizon from AT&T! Several days before CES 2011 started, I had the pleasure of interviewing S.A.L.T., a rising musician from L.A.
Well, I am sure you are tired of dropped calls on AT&T or calling people on AT&T who’s phone drops frequently. The good news is that Verizon has the iPhone now and I will have to finally let go of the grudge against Apple for going with AT&T exclusively. Optoma NEO-i DV20A Pico Projector/Smartphone Speaker Dock Review! Last year, Optoma launched their PK301 Pico Projector at CES 2010. This year at CES 2011, I had the pleasure of viewing their latest flagship product, the Optoma NEO-i DV20A, which basically is like the PK301 but more.